Whether you have already booked your vacation to Anna Maria Island or are still in the planning phase, we have some insightful info to share with you. From incredible local eateries to the best beach spots, most Instagram worthy locations to activities for a rainy day. 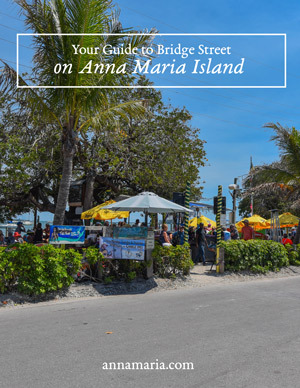 We have brought you all the best that Anna Maria Island has to offer in an easily downloadable PDF guide. Simply download the guide that you need to help make the planning process for your vacation even easier. Whether you are staying at Bradenton Beach, Holmes Beach or the City of Anna Maria there is information on everything you need to make this the best trip ever. Anna Maria Island here we come! You have booked your flights, your vacation rental and have planned out your entire trip! Now, all there is left to do is pack up and you are all ready to go. 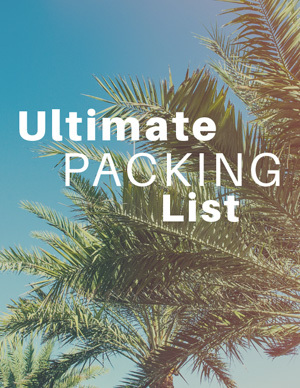 Make sure you don’t leave anything behind with this helpful packing checklist! Anna Maria has tons of delicious dining opportunities for all palates. Check out our Ultimate Dining Guide to see what we have to offer like waterfront restaurants, creative donut shops, and fried seafood. From fine-dining to causual, family-friendly eateries - these are our top picks for dining out on vacation. 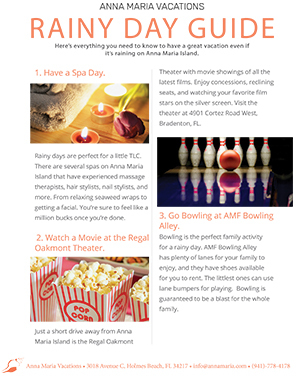 Here's everything you need to know to have a great vacation even if it's raining on Anna Maria Island. 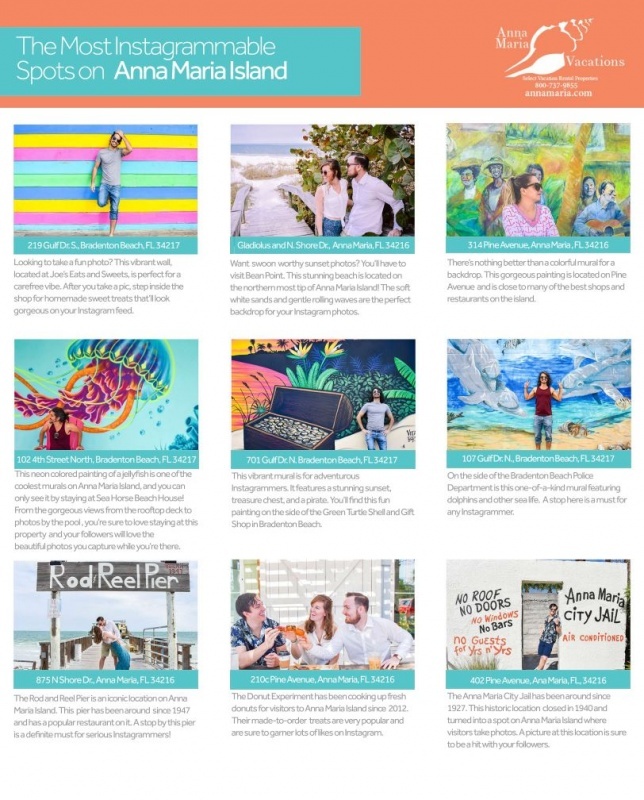 From colorful murals by local artists to ecclectic signs and scenic backdrops, Anna Maria Island is the ultimate Instagram lover's destination. Check out the most Instagrammable locations on our island paradise. 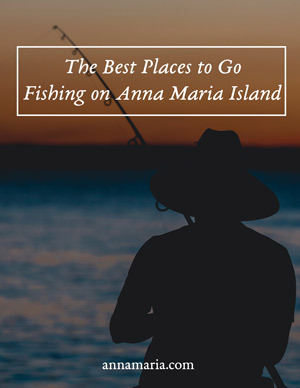 Learn where the locals like to eat and where to go for the next time you head to Anna Maria Island for vacation. Enjoy the less crowded beach spots and other travel highlights when you download this vacation guide! 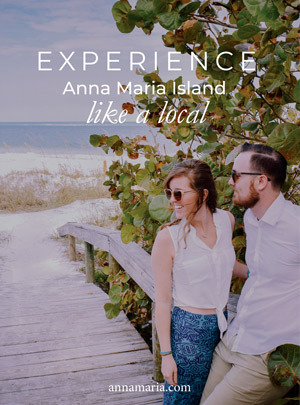 Love flourishes at the beach and Anna Maria Island provides the perfect romantic setting for a honeymoon escape. 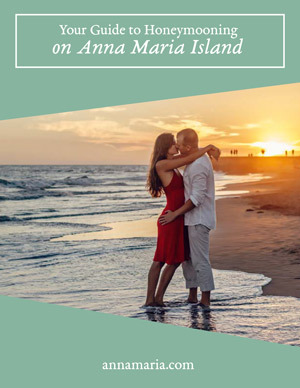 Celebrate the beginning of your marital bliss by booking a cozy, coastal cottage and following this guide to AMI. 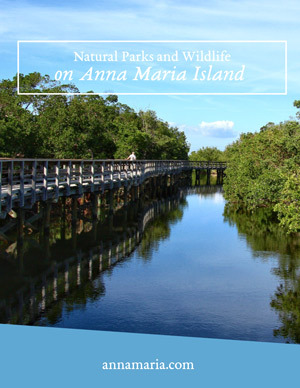 If you are a nature lover, come visit Anna Maria Island for glimpses for a variety of wildlife and beautiful natural scenery. From the beaches to the mangrove forests that shroud the area in natural splendor, your family will love the magical glimpses of dolphins and other island wildlife. 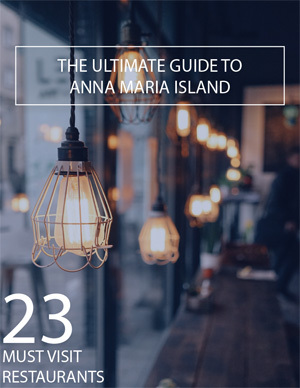 This Bucket List Guide to Anna Maria Island are the best things to do, places to eat and activities that you won't want to miss out on. 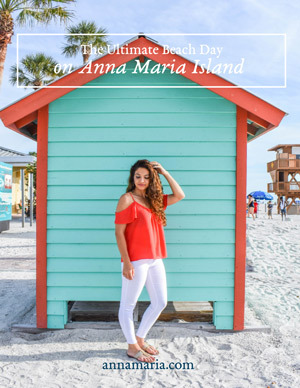 Get ready for the ultimate beach day on Anna Maria Island with this handy guide about all things sand and surf. Try a new activity like horseback riding on the beach or discover which restaurants give you the best beachfront view of the island sunsets. 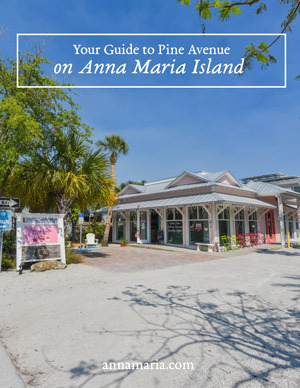 Walk down Pine Avenue on Anna Maria Island and discover a street filled with great shopping destinations and delicious restaurants. Check out the local boutiques and grab an ice cream on a sunny day. Here's your ultimate guide of what to do on Pine Avenue. 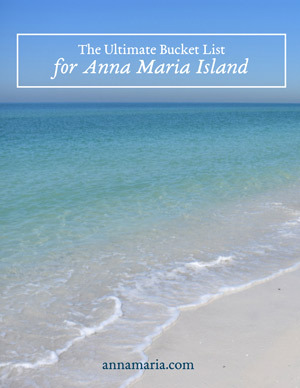 Ready to explore Anna Maria Island? Start on Bridge Street! With plenty of restaurants and shops to choose from, it is the perfect time to spend in between visits to the beach. Read more about one of our favorite AMI streets here. Fish from one of the three anna maria island piers, book a fishing charter or (better yet) stay in a waterfront vacation rental. There's plenty of places to fish, so check out our list of the best. 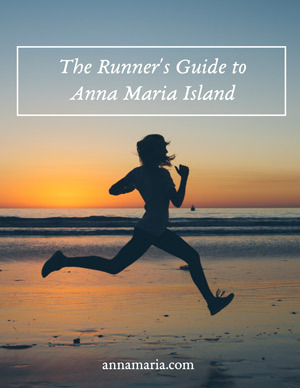 If you are looking to get out for exercise with amazing views, then pack your running shoes for your Anna Maria Island vacation. There are plenty of trails to run through nature preserves or along the pristine, white sand beaches on your trip. Ready to enjoy your most favorite friends at one of the best beach destinations in Florida? 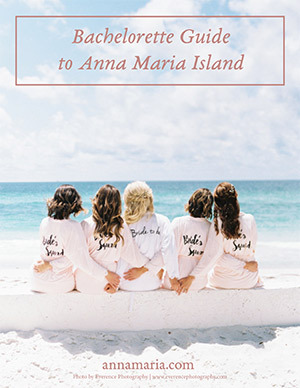 Congrats on the engagement, now it is time to plan your amazing bachelorette party on AMI. 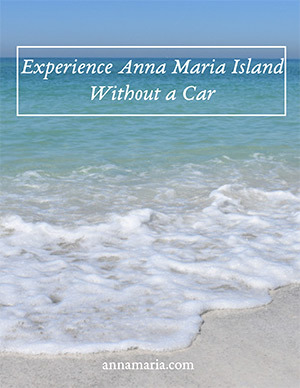 From to 2 wheels or 4, there are great ways to get around Anna Maria Island without your car! Rent a bike or sign up for a Segway tour of the local beaches. There are plenty of ways to get out and explore this incredible area.